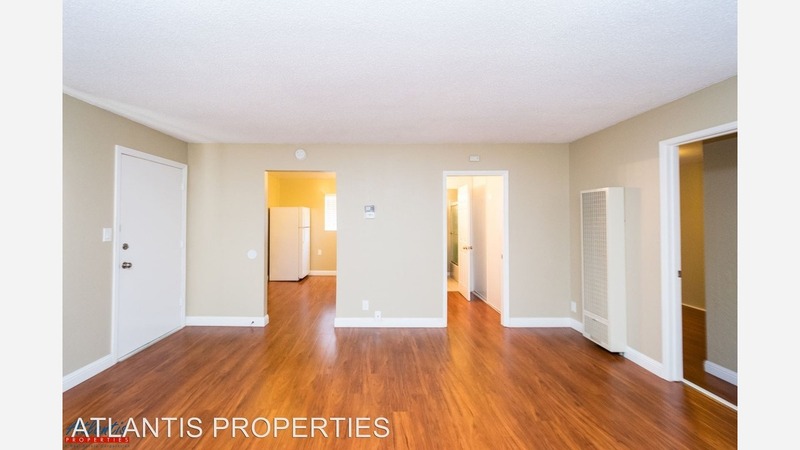 What's the cheapest rental available in downtown San Jose, right now? According to rental site Zumper, median rents for a one bedroom in downtown San Jose are hovering around $2,173, which is right in line with a one-bedroom median for San Jose as a whole. So how does the low-end pricing on a downtown rental look these days--and what might you get for your money? We took a look at local listings for studios and one-bedroom apartments to find out what budget-minded apartment seekers can expect to find in the neighborhood, which, according to Walk Score ratings, is somewhat walkable, is great for biking and offers many nearby public transportation options. Listed at $1,600/month, this 515-square-foot one-bedroom, one-bathroom apartment, located at 109 Duane St., #1, is 26.4 percent less than the $2,173/month median rent for a one bedroom in Downtown. Complex amenities include on-site laundry, on-site management and assigned parking for one car. In the unit, anticipate air conditioning, hardwood flooring and wooden cabinetry. Neither cats nor dogs are permitted. 390 E. Santa Clara St. This one-bedroom, one-bathroom apartment, situated at 390 E. Santa Clara St., is listed for $1,638/month for its 750 square feet of space. In the unit, you'll find carpeted floors, a stove and wooden cabinetry. The building offers assigned parking, on-site management and extra storage space. Pets are not permitted. Listed at $1,945/month, this 558-square-foot one-bedroom, one-bathroom is located at 232 S. 10th St. The building offers on-site laundry and garage parking. In the unit, anticipate high ceilings, air conditioning, a mix of hardwood flooring and carpeting, wooden cabinetry and bay windows. Neither cats nor dogs are permitted. This one-bedroom, one-bathroom dwelling, situated at 536 S. Eighth St., #9, is listed for $1,995/month for its 683 square feet of space. In the unit, expect to find in-unit laundry, carpeted floors, a dishwasher and large windows. Assigned parking is offered as a building amenity. Pet owners, inquire elsewhere: this spot doesn't allow cats or dogs. And here's a one-bedroom, one-bathroom at 561 S. Seventh St., which, with 700 square feet, is going for $2,095/month. Apartment amenities include hardwood flooring, quartz countertops, closet space and wooden cabinetry. The building features on-site laundry. Neither cats nor dogs are permitted.